I love pantene shampoo and conditioner and this is one of my favorite product akong the rest.makes my hair smooth and silky.no tangled and it's so shiny.highly recommended! 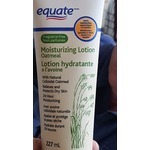 Free of things that irritate sensitive skin, and full of calming ingredients like oat and chamomile. Nice foaming delivery system makes bathtime fun for your little one. This is by far my favorite soap! I have it in many scents and keep it at every sink in my house all year round! I keep it on hand as gifts for friends and my kids' teachers! I thought the soap was nice and moist unlike other bars of soap which are sometimes dry. I noticed less buld up for sweat and stuff on my skin after using this sap for a week. A different kind of body wash, fun to use. Puffy clouds of foam dispensed out of a can. So soft, feels like showering in a cloud. Leaves skin clean but also smooth and conditioned. Strong floral scent. 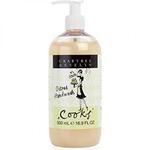 Evelyn & Crabtree's Cooks Citrus Handwash is a nice handwash for the kitchen. It is a pearly colour and smells so nice. A little dab of the handwash will work well to clean hands. If you use too much, may be a little drying. Overall, a great product. 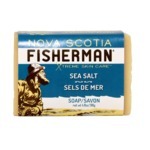 Ce savon à mains est tout simplement rafraîchissant. Il nettoie bien les mains sans les dessécher. J’adore son odeur de pamplemousse!! Vous pouvez vous le procurer dans les magasins Stokes. I am a fan of most of The Honest Company products. 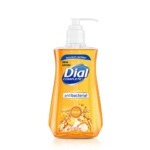 I was looking for a mild hand soap for my daughter’s bathroom. When I saw this one I decided to try it immediately. It has a very nice mild sense and is perfect for little hands. 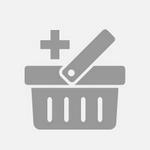 Would definitely rebuy! 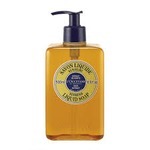 L'Occitane Shea butter verbena liquid hand soap smells amazing and leaves my hand smooth. Yes it is a little spendy but it lasts more than the ordinary soaps. Refreshing scent. 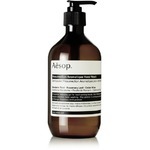 If you've flown on Air Canada, you know (and already appreciate) this hand soap--they use it on board. 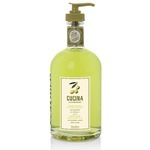 The product lathers nicely and releases a captivating tropical scent. 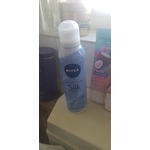 The glass bottle and blue colour look great in my bathroom, and refills are available.